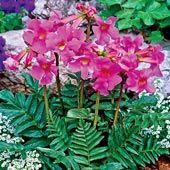 The amount of shade these shade perennials can tolerate varies. 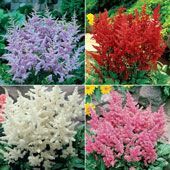 For example, bleeding hearts, sea holly and lily of the valley need half-sun, half-shade, but astilbe, toad lily and Siberian bugloss can tolerate full shade, although they tend to produce more flowers if they are planted where they get dappled light. 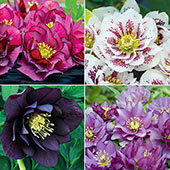 Helleborus, or winter rose, tolerates full shade, and produces very early spring blooms. The star of any shade garden, and one that thrives in full shade, is the hosta. 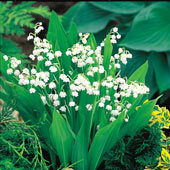 Primarily a foliage plant, most hostas do have striking trumpet-like flowers that bloom in mid summer. 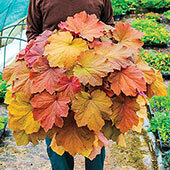 Most gardeners, however, grow hostas for their striking foliage. 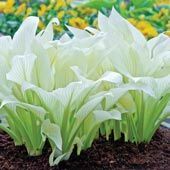 You can find hostas with green-and-white striped leaves, with green-and-yellow striped leaves, and even with all-white leaves--some hosta varieties emerge with white foliage that gradually turns to green and cream. Simply stunning! One of the nicest things about living among the trees is that it gives you the opportunity to grow a woodland garden. 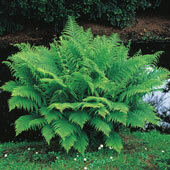 If you are creating a woodland garden, consider such natural woodland plants as ferns and lilly-of-the-valley, which can be allowed to naturalize to create a dense ground cover. 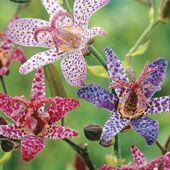 Add several varieties of toad lilies, dicentra and helleborus among the ground cover for a lovely woodland display. If you have a shady yard, don't give up on flower gardening. 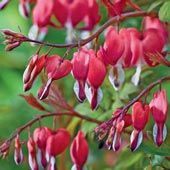 With a number of beautiful yet hardy shade perennials to choose from, you can create a lovely flower garden without giving up your shade.